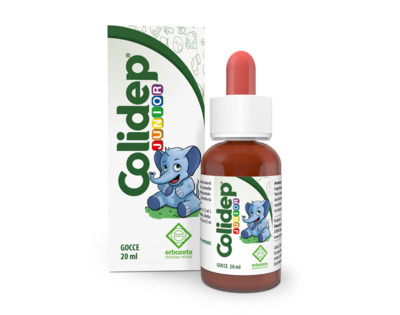 COLIDEP® JUNIIOR drops is a food supplement based on vegetable principles. Lemon balm, Fennel and Chamomile are useful to promote the regular gastrointestinal motility and elimination of gases. Linden, Chamomile and Lemon Balm are useful to promote a state of relaxation. Chamomile, Fennel, Lemon Balm Linden. Take 1.5 ml of product twice a day, diluted in a small amount of water or other beverage or put directly in your mouth. 7 drops correspond to the 0.5 ml mark on the internal dropper.